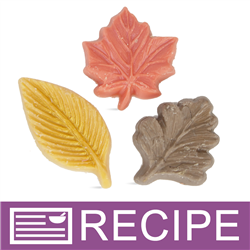 These wax melts will fill your home with the fall scent of apple cider blended with vanilla bean and spun sugar. 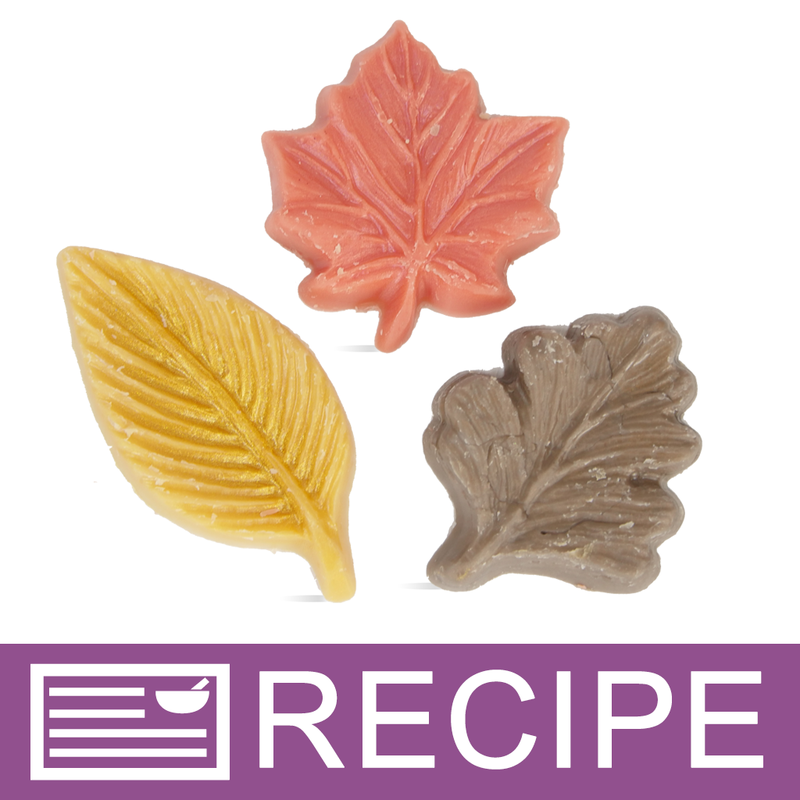 Wax melts are a wonderful alternative to burning a candle. Place the wax melt in an electric warmer and the melting wax will send this comforting scent throughout your room. They can also be used as a car or locker freshener. To metal pot, add 2 oz. beeswax and 1 oz. palm kernel flakes. Heat on low heat until melted. Remove from heat and place on pot holder or towel. Add coral mica powder and 0.50 oz. fragrance oil and stir well. When wax has cooled to 150°F, pour into eight of the leaf cavities, filling half way. Remove from mold and set aside. Repeat Steps 1-5, adding brown mica powder to wax along with the fragrance oil. Repeat Steps 1-5, adding dark gold mica along with the fragrance oil. Place two of each colored leaf into organza bags. To Use: Place 1-2 melts into wax burner and allow to completely melt. Ingredient Label: Beeswax, Palm Kernel Oil, Fragrance, Mica, Titanium Dioxide, Iron Oxide, Fluorphlogopite. 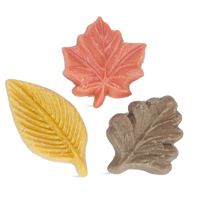 "Hello, I'm looking into making wax melts as I've bought some lovely smelling holiday scents from Wsp. I've checked your Fragrance Calculator, but there is not an option for Wax Melts. Could you please add that option? Thank you kindly, Robin"
Staff Answer We do not have wax melts listed on our site because we do not sell candle wax. If using candle wax, we recommend checking with the wax manufacturer for the proper fragrance load. You can usually add more since these do not come in contact with an open flame. For this recipe using beeswax, we used approximately 16% fragrance.